Beauty tech brand, HiMirror, announced today, June 27 the official launch of its latest model, the HiMirror Mini. This new cutting-edge technology will be introduced at BeautyCon in Los Angeles, taking place on July 14th and 15th at the Los Angeles Convention Center in Los Angeles, CA. 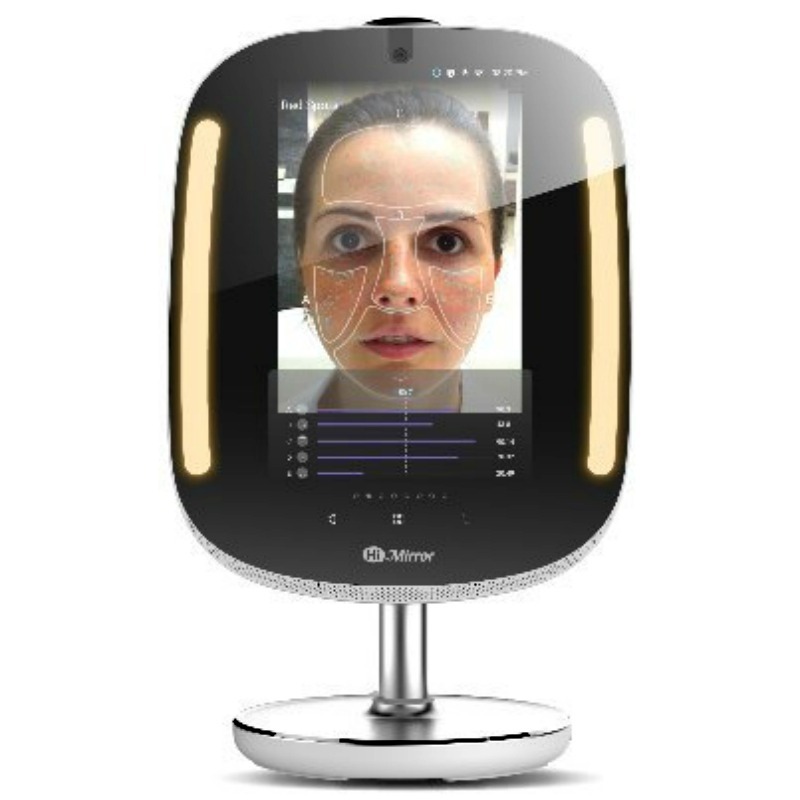 Similar to its counterparts within the HiMirror product portfolio, the HiMirror Mini offers in-depth skincare analysis based on the evolution of the skin, weather conditions, and more. It assesses wrinkles, fine lines, complexion, dark circles, dark spots, red spots, and pores, measuring and tracking progress and providing recommendations on how to improve the skin's condition. Through its Beauty Box feature, users can also easily manage their skincare products and find out if they are improving the skin as desired. Approximately 13.31 x 9.02 inches, the HiMirror Mini ($119) introduces new hardware features, including a table stand, USB charging outlet, and touch screen capabilities, making it portable and easier to use than ever before. This allows for expert beauty application -- the latest model offers complementing LED makeup lights, which have freely adjustable levels of brightness and warmth, as well as a magnifying camera complete with a cover for utmost privacy. "We are very excited to be launching this new, innovative model at BeautyCon LA," said Simon Shen, CEO of Taipei-based New Kinpo Group. "The HiMirror Mini transcends the already existing HiMirror product portfolio, with its many hardware and software advances. We are thrilled to be able to offer this technology to our consumers and look forward to rolling out additional features in the coming months." Giving users the full smart home experience, the HiMirror Mini comes equipped with Amazon-Alexa capabilities and the ability to connect to the Spotify, YouTube, Instagram and Facebook App all through the mirror. The HiMirror Mini further integrates SkinSafe, a skincare-centric platform that provides in-depth brand and product information. With SkinSafe, users will have access to a comprehensive outline of product ingredients and allergens upon scanning the barcode of any beauty or personal care products. The HiMirror Mini will be available for pre-order on HiMirror.com beginning July 3rd, 2018.